Ok, why use any plan to run your business? In my experience a lot of small businesses, typically really small businesses don’t use any type of written planning to run their business. These businesses are usually what are affectionately known as “Mom & Pop’s” or just “Mom” or “Pop” businesses. They are really someone just in business for all practical purposes to create a job for themselves. So, what the hell, why do they need any formal planning anyway, right? If, however, your intent is to build a business, even one run by “Mom & Pop” you are going to need a written plan to effectively use the resources you have and achieve the best results for the business. A written business plan is the first step in planning for a growing, successful business. And right behind the business plan is a marketing plan. 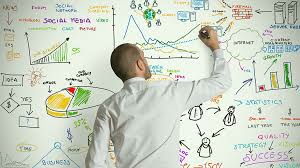 A marketing plan in general is a plan on how to most effectively to use your marketing resources to achieve the results, usually sales, that you have projected in your business plan. A well thought out marketing plan acts as a guidebook of when and where the business will say advertise. Like any plan, the plan author(s) must give thought and conduct research on what marketing techniques work best for their business. The process of thinking and discussing market options alone can be worth the cost in man hours, etc. used to build the plan. Remember that no plan is going to be perfect, but the process of building the plan can in and of itself strengthen the company to compete. Money is a finite asset. The same is true of the funds available for marketing. The marketing plan provides an allocation of the money resource. Hopefully, the allocation that is made in the plan is both efficient and effective for selling the company’s products/services. Again, using a marketing plan gives the author(s) a chance to look at and discuss their options and make informed decisions on when and where to market. A marketing plan that is well-thought out and prepared will always give an edge to the company that takes the time to prepare it. The use of outside professionals in helping prepare the plan is not required, but if used it can bring the latest and greatest marketing ideas and tools to the plan. One of the keys to building a successful, growing and profitable business is using all available resources in the most effective and efficient manner possible. Trying to do this without a plan is next to impossible for a vast majority of us as business owners. Don’t leave your valuable resources, such as available money, on the table when with a little effort you could plan how to use it more effectively and efficiently. 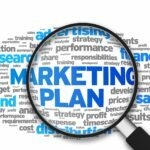 Have questions about building a marketing plan? 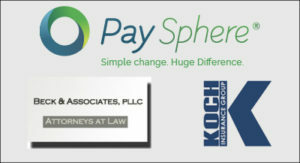 Contact us and see what our “Common Sense Business Experience” can do for you. I would like to get across my appreciation for your generosity for women who need guidance on that content. Your special commitment to passing the message around turned out to be astonishingly powerful and have always encouraged guys and women just like me to attain their desired goals. This warm and friendly guideline signifies so much a person like me and substantially more to my colleagues. Thank you; from each one of us. My wife and i felt very fortunate Chris could carry out his inquiry through your ideas he had in your blog. It is now and again perplexing to just happen to be giving freely steps which usually the rest may have been trying to sell. So we do understand we need the blog owner to appreciate for that. The main illustrations you have made, the simple blog menu, the relationships your site make it easier to engender – it’s got most terrific, and it’s helping our son and our family understand that subject is fun, which is certainly seriously serious. Thanks for everything!